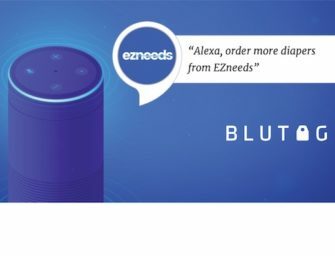 Amazon’s new Alexa Answers program solicits select Alexa users to answer questions posed by other users that Alexa cannot already answer. Alexa users that receive answers originating from Alexa Answers are told the response was from another user. This appears to be a complementary program to Alexa Answer Updates where Alexa will get back to users with answers to questions it cannot address at the time. Voicebot was the first to report on Amazon Alexa Answer Updates earlier this year. That feature offered to respond later to users for questions that it could not initially answer. We now know Amazon’s plan to scale the responses will be through crowdsourcing. As questions from users come into Alexa, Amazon can assign them to Alexa Answers participants and then respond to the original questioner with an answer. In some ways, this is like another Amazon service, Mechanical Turk. That service allows you to outsource menial tasks to thousands of individuals that act as independent contractors. The key difference may be that Mechanical Turk participants are typically paid for their work. Who Has Permission to Provide Answers, and How Are Answers Vetted? No word was given on how Amazon selected users to invite into the program or how many were recruited. Although, the addition of 100,000 responses in a month certainly indicates that many people were involved. As for how Alexa will be vetting the answers to make sure they are accurate, no word was given either, just that Alexa may use the answer. Amazon did state that if Alexa is giving you a submitted answer as a response, Alexa “can choose to respond by attributing the response to ‘an Amazon customer’ before providing the answer.” I tried it out by asking an example question from the blog: “Who wrote the score for Lord of the Rings?” Alexa gave the answer, Howard Shore, but prefaced it with “according to an Alexa customer’s answer…” Alexa then also asked me if the answer was helpful afterward. Perhaps this is how Alexa Answers will be vetted, by asking users whether or not the response was helpful. It sounds a lot like Quora for voice to offer another analogy. Voicebot has found that the top use case tried by smart speaker owners is asking general information questions, also known as the open Q&A feature. In the Smart Speaker Consumer Adoption Report, Voicebot reported that 91% of smart speaker owners had tried open Q&A and that one-third use it daily. So, it makes sense for Alexa to focus on developing this popular voice assistant feature. Combine that will Answer Updates and you have the ability to answer more questions today and to continually source new questions to add answers to Alexa’s knowledge graph. Amazon’s strategy to build smart speaker market share is clearly working, but in order to maintain that lead, Alexa will need to match or outperform other voice assistants in key consumer use cases. Increasing the number of queries Alexa can answer is one way to stay in the competition, and it will be interesting to see if Alexa shows improvement in the coming year.